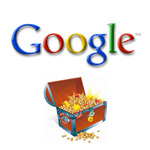 I just found out about Google's Treasure Hunt Challenge. They say that "it's a puzzle contest designed to test yer problem-solving skills in computer science, networking, and low-level UNIX trivia." Apparently I have missed the first three puzzles (first, second and third) but I'll give the fourth puzzle a shot. Find the smallest number that can be expressed as the sum of 7 consecutive prime numbers, the sum of 17 consecutive prime numbers, the sum of 41 consecutive prime numbers, the sum of 541 consecutive prime numbers, and is itself a prime number. For example, 41 is the smallest prime number that can be expressed as the sum of 3 consecutive primes (11 + 13 + 17 = 41) and the sum of 6 consecutive primes (2 + 3 + 5 + 7 + 11 + 13 = 41). Here's how I approached and solved this problem. I had no desire to generate lists of prime numbers myself as it's been done thousands of times already. I didn't even want to copy any existing prime generating code. I decided to just use a publicly available list of prime numbers. Here is a list of first fifty million primes that I found. Next, I used my Unix-fu to find the solution. I noticed that the primes are zipped and split into chunks of million primes per file. The file names were like "primes1.zip", ... "primes50.zip". This is not great. I wanted all my primes to be in one file and one prime per line so I could extract N-th prime by looking at N-th line. The command created primes7.txt, primes17.txt, primes 41.txt and primes541.txt files. These files contained sums of prime numbers but only some of them were primes. The solution, if it existed in the given data set, was the intersect of all these files. If there were multiple items in the intersect, the smallest should be chosen and checked if it really was a prime. And I found the solution! It was 7830239. I submitted the answer and after a few minutes it was confirmed to be correct. Awesome! Now tell me how you solved this problem.